There are no messages on Veepal IT Services's profile yet. 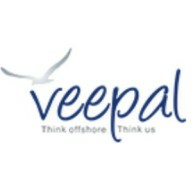 Veepal IT services Pvt. Ltd. creates a unique blend of IT technology solutions expertise with common sense application of extensive knowledge. The company has diversified its offerings and rapidly scaled up both geographically and strategically. We come across as preferred offshore software development partner to businesses across the globe spanning multiple industry verticals.